Last night U2 performed a private concert for Special Olympics at Invesco Field at Mile High, which is right next to my hotel. 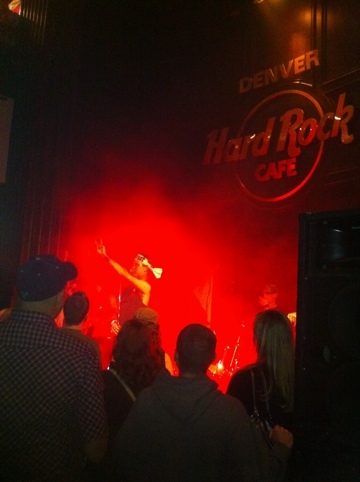 But instead I was listening to U2 tribute band Under A Blood Red Sky perform at the Hard Rock in downtown Denver. Ironic? At least the anticipation will be even greater tonight for the U2 360 US opener, since I didn’t hear their show last night. 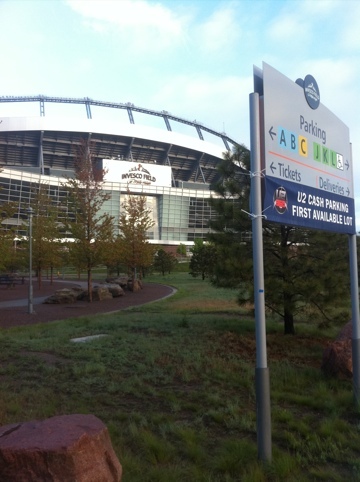 Day 7 of my U2 360 tour across America started off great with a 6am walk around Invesco Field at Mile High, home of my beloved Denver Broncos. I didn’t sleep well because I had to share a room with my mom and aunt (they have their own hotel room now though). Elvis, Cilla and I left the room as soon as it was light enough and had a great walk in the brisk Mile High air. After our loop around the stadium, I saw that Barbara and Alice had started the GA line the night before. I did not get a number because I’m not planning to put time in the GA line. Instead, I am going to hang out with everyone and come and go as I please. Hopefully it will be like 360 in 2009, and I’ll be able to get close without waiting in line all day. If not, I’ll get to see the show from a distance which I’ve never done before. Either way, it’s going to be a great U2 night in Denver! After breakfast, I did a short phone interview with a radio station in Salt Lake City about my road trip this summer to all 16 US shows and consequent book. 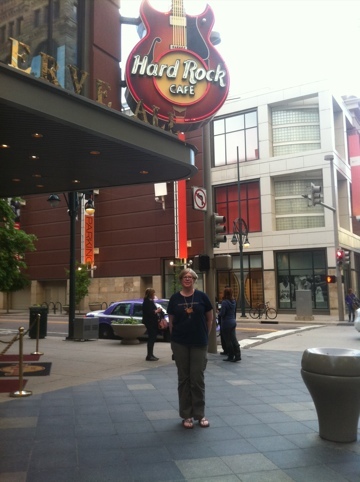 Then my mom, aunt and I went downtown to get them settled into their hotel and walk around the 16th St Mall. We had lunch at the Paramount Cafe and checked out the Hard Rock. I came back to check out the GA line, which had moved around the corner and had grown to about 80 people by 2pm. Elvis & Cilla had their U2 laminates on, so they wanted to show them off. I got to see my friends Jennifer, Melissa and Michelle and met some folks I’d be talking with on Facebook and Twitter. After doing my laundry and a taking nap, I got ready to go downtown to the Hard Rock for the U2 pre concert party with U2 tribute band Under A Blood Red Sky. Just as I was leaving, I got a text saying U2 was doing a private concert at Invesco Field, which is right next to my hotel. I was torn, but I already had made a commitment to be at the Hard Rock. My mom and I arrived at the Hard Rock about 2 1/2 hours before the show started, so we could have dinner and mingle with everyone. My friend Mark saved us a table up front. I talked with Billy (Bono) and Jerry (Larry) of Under a Blood Red Sky. They couldn’t have been nicer. 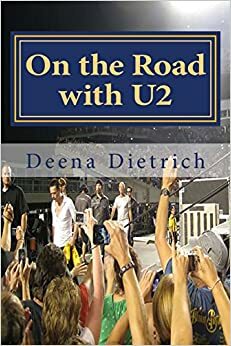 I also met a lot of great folks excited about the U2 show tonight and they were very interested to hear about my trip to all 16 US shows this summer. They really liked their U2TourFans stickers I handed out. I was able to meet a few people I had been talking with on Twitter and Facebook, but missed a lot of people because it was so crowded. 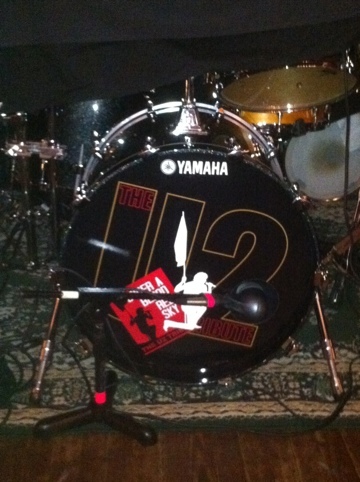 Under A Blood Red Sky are known for playing older U2 songs. In fact, they played at Red Rocks recreating the entire U2 show from 1983. But they opened their show last night with Vertigo, followed by Elevation and Beautiful Day, before going into U2’s older songs. Billy (Bono) is a very impassioned performer that the crowd really responds to. Except for mom who had napkins in her ears because it was too loud for her. After a good night’s sleep last night, I’m going to spend today hanging out with everyone in the GA line conserving as much energy as I can for the US opener of this leg of the U2 360 Tour just under 14 hours away!